The St. Ignace area includes the sites starting at Bridge View Park and extending to the Carp Rivermouth. This area has some of the most impressive views of the Straits of Mackinac and the Mackinac Bridge. On the open waters in the spring and fall can be come of Michigan's most elusive waterfowl at surprisingly close range. Scoter's, Red-necked Grebe, Red-necked Loons and Long-tailed Ducks can be views from places such as Straits State Park and St. Ignace City Dock #3. In addition, Point La Barbe offers excellent migrant shorebirds and songbird viewing. Many of the areas are also great for spring and summer Warblers, Tanagers, and Vireos. ​This area of the North Huron Birding Trail is rich in marshes, rocky peninsulas and sandy coves. Forests of white cedar, balsam fir, white birch and quaking aspen dominate the shores. Hardwood forests of sugar maple and beech favor the deeper soils inland. 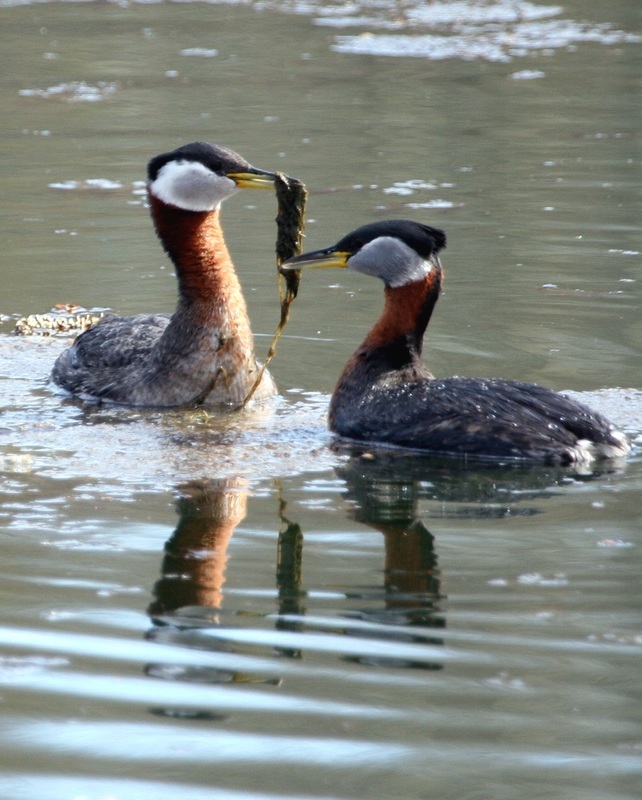 Red-necked Grebe. Photo courtesy of USFWS.